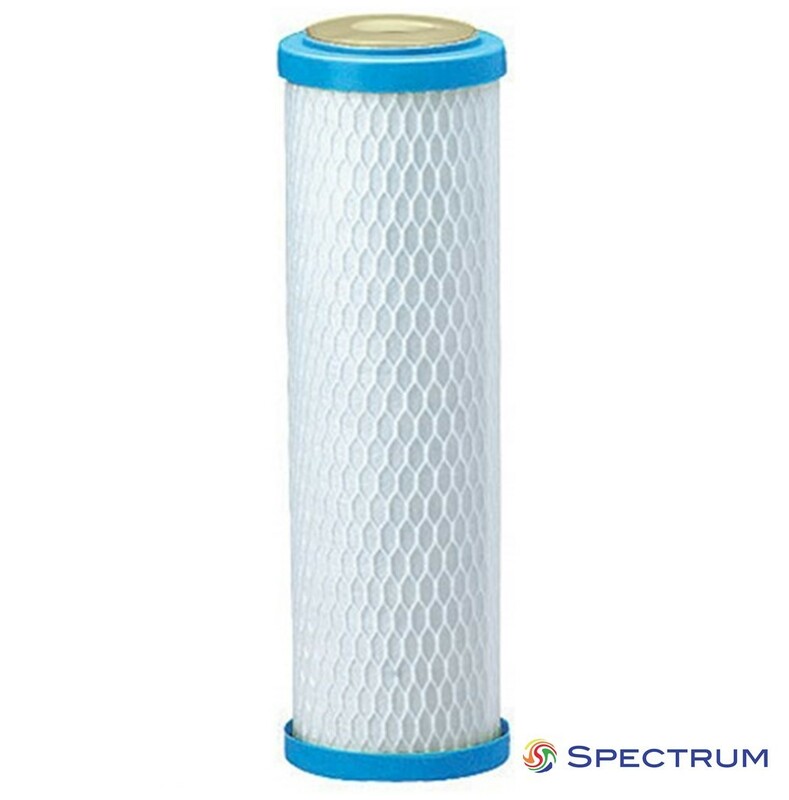 The SPECTRUM 870, ECB carbon range delivers a genuine balance between chlorine absorption, high dirt-holding and value for money. The Economic Carbon Block (ECB), manufactured from large carbon particles is an ideal choice for use within a wide range of industrial water applications, such as organic removal, plating solutions and batch processes where the life of the carbon is never fully used. The ECB-µ-9¾ is available in a variety of Micron sizes which will be listed as an option near the top of the page.